On 16/17 April 1941 hundreds of German bombers attacked South and Central London for almost eight hours. Civilian casualties numbered over 1000 dead and 2000 seriously injured. 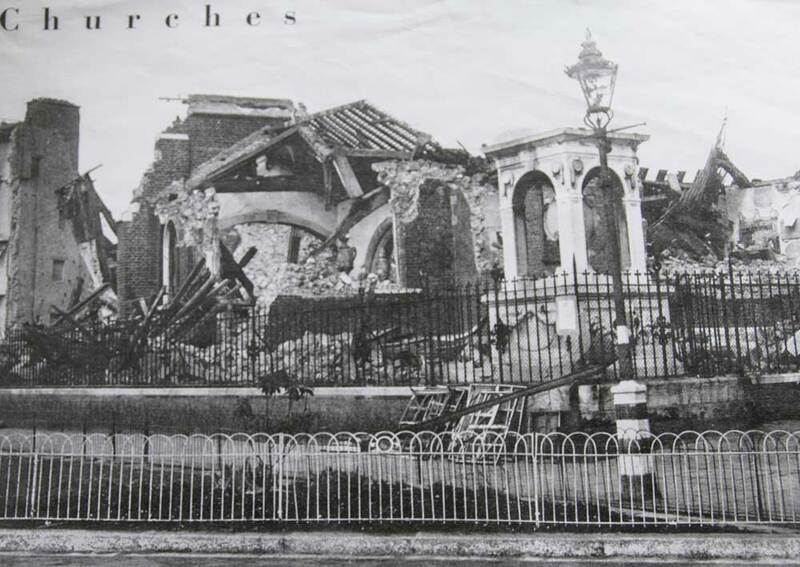 Among the buildings struck by parachute landmines was Chelsea Old Church (also known as All Saints) at the junction of Old Church Street and Cheyne Walk. Prior to that fateful raid, the historic Anglican church comprised a 17th century tower and nave, a 13th century chancel and two 14th century private chapels; the one in the north, known as the Lawrence Chapel, was built for the Lord of the Manor of Chelsea and the chapel in the south, known as More’s Chapel, was used from 1528 by Sir Thomas More for his private worship (the date is inscribed on a pillar leading to the chancel). Afterwards, little remained standing, with the body of the building and distinctive tower destroyed. The exception was More’s Chapel. In the following years the church was painstakingly re-constructed on its old foundations – it now appears much as it did before WWII – and many of the shattered memorials and tombs were carefully restored. 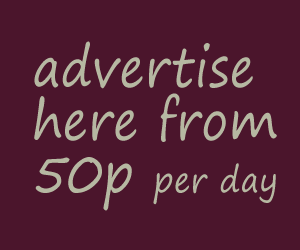 Chelsea Old Church dates from around 1157, when Chelsea was still a village outside London. The Tudors had a royal residence in the neighbourhood (called Chelsea Place, it was demolished in the 18th century) and many notable figures worshipped at the church, including Henry’s daughter Princess (later Queen) Elizabeth, Jane Seymour, Lady Jane Grey and Anne of Cleves. 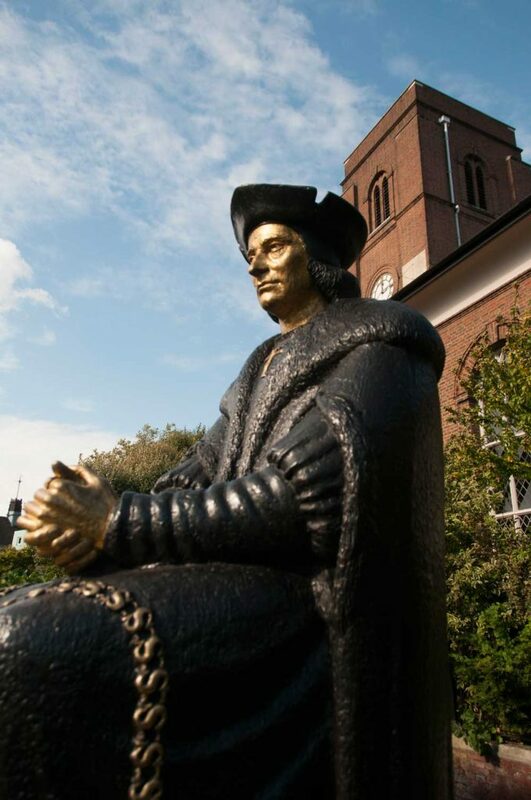 Despite these royal connections, the church is most closely identified with Sir Thomas More (1477–1535), the Lord High Chancellor and councillor to Henry VIII. He built a grand house in Chelsea in 1520. 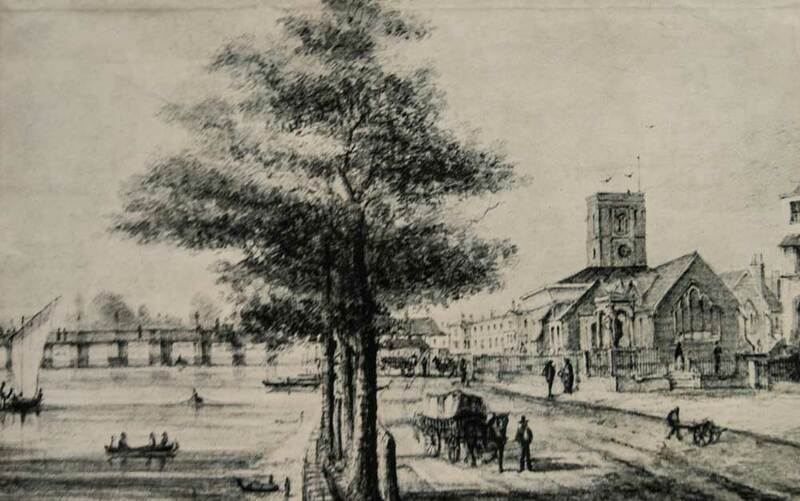 It stood on the site of what is now Beaufort Street and had spacious grounds that stretched from the river, where More kept a barge that took him to Westminster or Hampton Court on state business, to the present-day King’s Road. 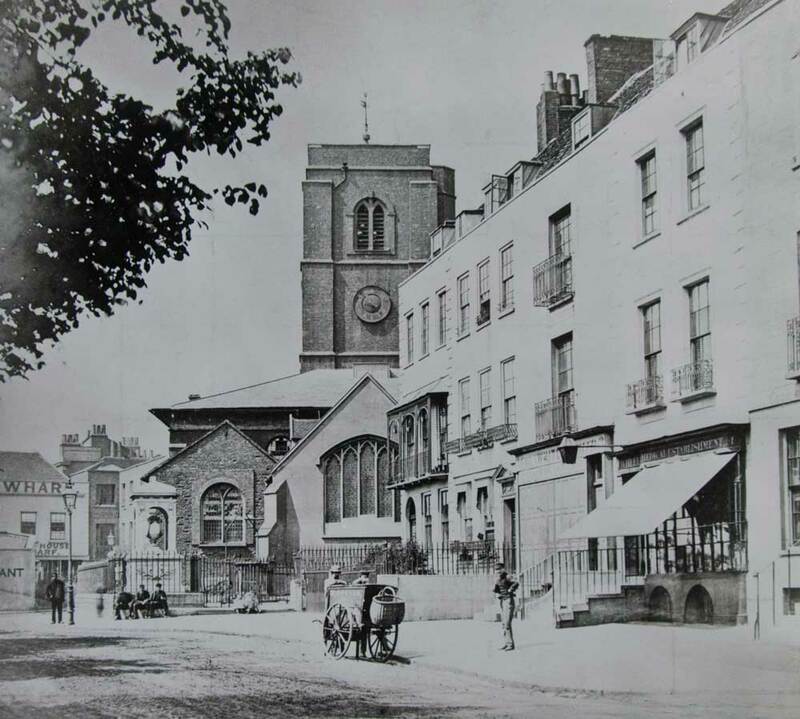 No traces of the building remain today, but Roper’s Garden, across Old Church Street from the West door, is believed to have been part of the estate’s formal garden. More re-built the south chapel at the Old Church and worshipped there regularly with his family, often assisting at the celebration of Mass. Appropriately, an imposing bronze statue of Sir Thomas by L. Cubitt Bevis now stands outside the churchyard. Chelsea Old Church is the only one in London still to have chained books. They were the gift of Sir Hans Sloane and there are five in all: a Vinegar Bible (1717), first and third editions of Foxe’s Book of Martyrs (1684), a Book of Common Prayer (1723) and Homilies (1683). Recently, a memorial was erected in honour of Sloane, whose remarkable collections formed the basis of the British Museum, the British Library, the Natural History Museum and Chelsea Physic Garden. A tablet carved by Lida Cardozo Kindersley was unveiled by Earl Cadogan, patron of the parish and a descendant of Sir Hans Sloane, and it is now fixed to the north wall of the chancel.